Mid and West Wales Fire and Rescue Service staff are recognised annually for their outstanding efforts, achievements and contributions to the community. Long service is central to their recognition programme. We should declare that we had no experience in this area. 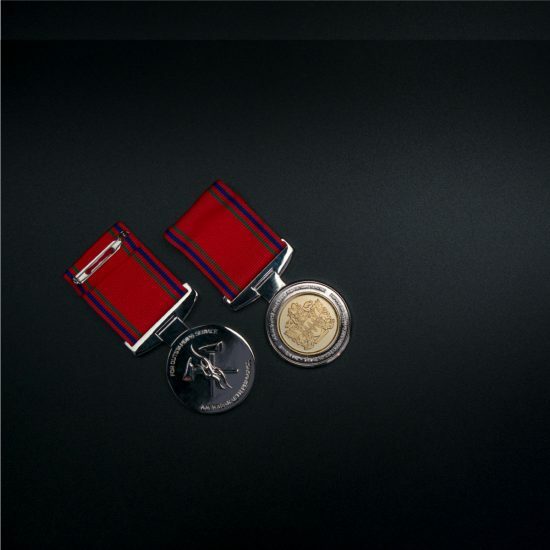 Long service medals are typically a military service award rooted in long history; designs are typically safe and very traditional. From the start we knew the medal needed to have a circular body and be attached to the lapel via a ribbon. So we focused our attention on the medal construction and the opportunities of decoration and personalisation. Traditionally medals are made by stamping the body in the same way a coin is struck. This means they are invariably round and require a secondary stamped part to connect the medal to the ribbon. This articulated assembly can lead to the medal not sitting properly on the label and is also expensive. We proposed a cleaner one-piece design using precision die casting in zinc to create an integrated, contemporary look. The casting is formed in thick and thin sections as required to allow the medal to hang well, lending a substantial quality feel. Zinc alloy finishes exceptionally well and delivers high surface definition. We exploited these attributes, replicating the intricate fire service crest in raised polished relief on a contrasting satin gold background. The medal rear features a specially created relief created by Touch of Ginger featuring crossed fire axes and flames. 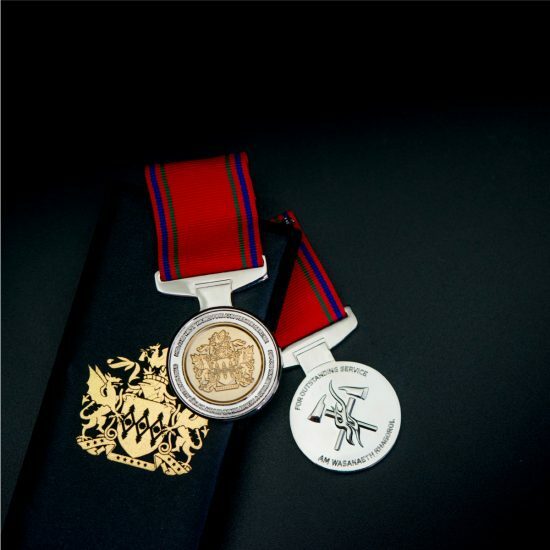 Personalisation is central to the design of the medal and forms part of our ongoing service to provide engraved medals to the fire service over years to come. 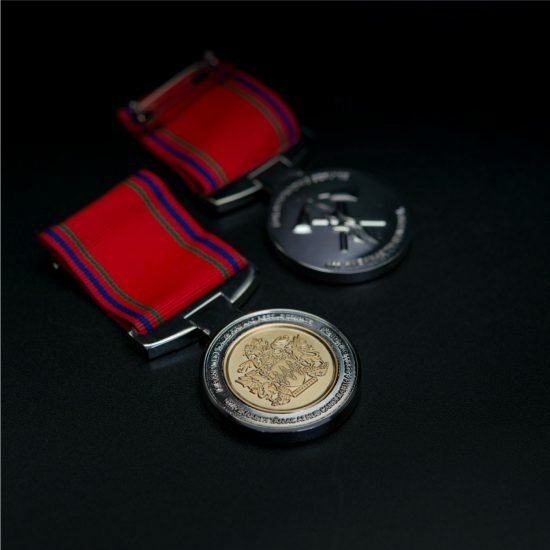 We designed the medal body thick enough to allow the individual members name and service number to be rotary laser engraved around the edge, making a discreet and attractive detail. A satin gold finished ribbon bar which is pinned separately to the ribbon can be engraved with the members years of service. This means that individual firefighters can hold multiple service ribbon bars of 30, 35, and 40 years all on one ribbon.